The roads across Sussex are not reporting any major congestion this morning (Saturday, September 16). But for those planning on travelling by train today should be aware that engineering works have closed several lines. 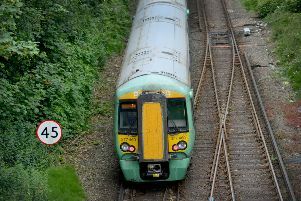 Trains are not running between Haywards Heath, Seaford, Polegate and Lewes. Rail replacement bus services will instead run between Haywards Heath and Plumpton, Plumpton and Lewes, between Brighton, Lewes and Seaford, and between Brighton, Lewes and Polegate.